A Senior Journey communicates with any healthcare provider that would enable better identification of all medical needs of the client. A determination is made about what level of care and what type of community would be most appropriate. The client’s financial situation is reviewed to determine what is affordable. Geographical preference is taken into consideration when finding the appropriate setting. A Senior Journey will present options to the client and family that meet their medical, social, geographical and financial requirements. Support is provided to the family throughout their decision-making process. Provide resources regarding: home health, home care, hospice, geriatric case management, fiduciary, elder law attorney, movers, downsizing/packing, pet sitting, and physicians/nurse practitioners that make house calls. Provide list of frequently asked questions prior to touring the communities. Coordination is provided between the Adult care locator and Social Workers and RN Case Managers to arrange services, required paperwork and equipment for client’s discharge and transfer to the chosen community. A Senior Journey provides personal follow-up in homes and centers after placement. 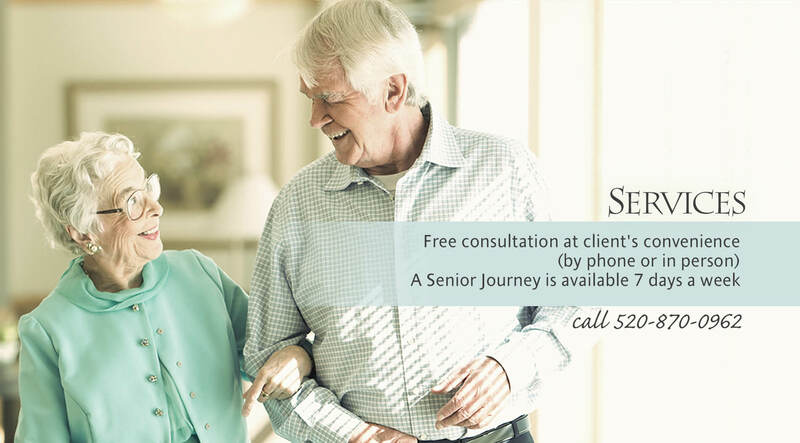 A Senior Journey provides senior living referral services, as your advocate we help you locate the appropriate Independent Living Center, Assisted Living Center, Assisted Living Home, or Memory care setting.